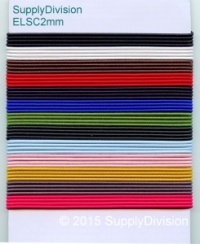 Wholesale Trade Suppliers Elastic loops, flat or round & tassels. Elastic loops, flat or round & tassels. and tasseled rayon cords for spine bands on menus, folders and Orders of service etc. 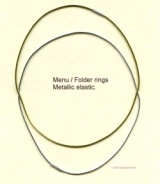 Please scroll down the page to view our 2mm round and 5/6mm flat elastic made-up into rings/loops for Orders of service, folders, menus & booklets etc. Non-standard sizes are custom made to order, see below. 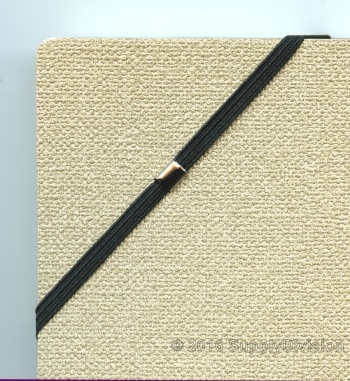 Plus: Rayon cord tasseled loops for Orders of service, menus & booklets etc. If you cannot find what you need please email us with the details. If you want samples please go HERE. Go HERE for tied loops for tags and labels etc. Premium Order of service-Menu tassel, A5, 100 pack. Standard Order of service-Menu tassel, A5, 100 pack. Standard Order of service-Menu tassel, A4, 100 pack. Standard A4 Rayon Order of Service / Menu tassel. A3 Elastic ring, 815mm circ, 100 pack. A4 Metallic Elastic ring 570mm circ, 100 pack. A4 (570mm circ) 2mm round Metallic elastic ring 100 pack. The minimum order on these metallic rings is 100pcs. A5 Metallic Elastic ring 395mm circ, 100 pack. A5 (395mm circ) 2mm round Metallic elastic ring 100 pack. The minimum order on these metallic rings is 100pcs. Custom made A5 Elastic ring circ, 100 pack. Custom made A5 (395mm circ) or smaller 2mm round elastic ring 100 pack. Minimum order 1000pcs. A6 Elastic ring 260mm(Approx) circ, 100 pack. Custom made A4+ (570mm-670mm circ) 2mm round elastic ring 100 pack. Minimum order 1000pcs. Custom length(circ) Elastic ring 120mm-360mm, 100 pack. Home > Elastic > Elastic loops, flat or round & tassels.